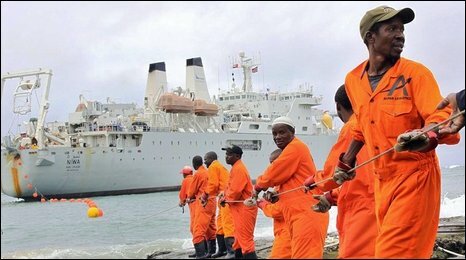 The first undersea fibre optic cable, Seacom, reached the east African coast in July 2009. This "Digital Express" is the most important infrastructure investment in eastern Africa since the construction of the Uganda Railway which integrated colonial east Africa into the British Empire. Unlike the railway, dubbed the "Lunatic Express" by its critics, the Seacom network will integrate the region with the rest of the world and provide a crucial gateway to the global knowledge economy. The $700m (£426m) project - largely funded by African investors - will reduce business costs, create an e-commerce sector and open up the region to foreign direct investment. New industries will emerge to create content and software, new markets for access devices will grow, and research centres will flourish. Its impact will be unparalleled in contemporary African economic history. The closest comparison is Africa's runaway adoption of mobile telephony but on a scale previously unimaginable. Speaking at Seacom's launch on 23 July, Tanzania's President Jakaya Kikwete visualised a future in which Africans would truly become part of the global economy. They could find markets for their beans in Mexico; overcome the shortage of science teachers through distant learning; improve access to health care by using telemedicine; reduce corruption by enhanced transparency and foster regional cooperation through terrestrial fibre optic cables that are currently being laid in the region, he said. But none of these benefits will be realised without a strong combination of entrepreneurship, education, policy and investment in regional networks. Infrastructure projects such as this have never been easy. The region has a complex mix of countries including warring and failed states. This has been complicated by costs. A decade ago it cost over $5,000 (£3,000) per one kilometre of standard fibre optic cable; now it is just $300. There are some advantages to being a latecomer. As a result, the necessary infrastructure is beginning to be rolled out. Rwanda and Uganda are now linked through Kenya, and are poised to take advantage of the digital express. But to do this fully, their governments must be grander in their aims. Much of the work has so far focused on adopting policies to attract outsourced businesses in basic areas such as data processing and call centres. These developments are just a small proportion of what is possible. Africa could benefit from this new infrastructure if it focused on four critical areas: lowering the cost of access to bandwidth; expanding training opportunities in multimedia technology; stimulating enterprise development and liberalizing the market for devices to access the net. This last point will need careful attention. African governments will be tempted to see the rise in demand for access devices as a source of tax revenue. However, such taxes are likely to dampen the prospects of benefiting from the fibre optic infrastructure. Liberalising the market for access devices and removing all types of duty would serve as a major stimulus for the growth of new industries. In addition, governments should think twice before seeking to assemble conventional desktops and laptops locally. If they do, they will make the same mistakes that were made by countries hoping to assemble mobile handsets in the early days of the cell phone revolution. Those factories will quickly become white elephants as the rest of the world goes mobile through new generations of access devices. Instead, governments should adopt policies that encourage the use of netbooks and the creation of cloud computing industries. Under this new regime, software and data will be stored on large-scale servers leaving users to work from smaller, less-powerful computers. However, in order for these changes to take place, the cost of bandwidth must come down. 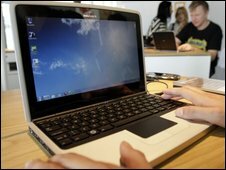 Internet Service Providers (ISPs) are already offering more bandwidth for the same cost. For example, MTN Business in South Africa has cut the cost of bandwidth by up to 50%. In east Africa, the arrival of other cables over the coming months is expected to create competition that will help to keep down prices and provide the critical redundancy needed to maintain reliable access. Governments could also help expand economic opportunities by underwriting the costs of access, especially for start-up firms and universities. And it is on these institutions that the government should focus. The most critical limiting factor in the expansion of digital industries may be education. Countries such as Egypt, Kenya and Ghana are leading the way in meeting this challenge by creating universities that are dedicated to training young people in telecoms-related fields. East Africa must do more. The newly-created Victoria Institute of Science and Technology (VIST) in Kisumu, on the Kenyan shores of Lake Victoria, is one such project of which I am a part. Instead of preparing students to look for jobs, VIST seeks to train young people to create enterprises. It will mentor young innovators and connect them to its network of investors. This should help to foster the creation of technology venture capital industry in the region. Yet, the drivers of change are not just government. Firms such as Seacom have an opportunity to help complement their infrastructure investment by nurturing business incubators. One way to do this is to give prizes and awards to young innovators who have found creative ways to use broadband internet to foster economic growth. 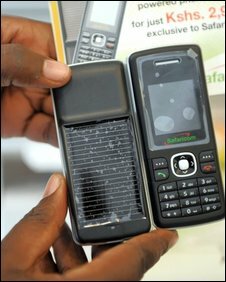 Kenyans have already shown they can innovate on mobile phone networks. The triumph of Safaricom's M-Pesa service - a radically new way of transmitting money by phone - is a harbinger of great prospects that lie ahead of the arrival of broadband Internet in Africa. Seacom's investment is challenging Africa's youth to demonstrate their creativity and the leaders to provide a vision of the role of infrastructure in economic transformation. Fibre optic cables are poised to impact Africans in the 21st century in more positive ways than colonial railroads did in the 20th century. For a continent that has been in economic darkness for so long, finally there is digital light at the end of the tunnel. Calestous Juma teaches at Harvard Kennedy School and is a Fellow of the Royal Society of London. He is a co-founder of the Victoria Institute of Science and Technology (VIST) in Kenya. Can the net change the world? Is the net a blessing or curse? Can Africa afford fast internet?